Once upon a time, Blur frontman Damon Albarn spotted graffiti that read “modern life is rubbish” on a London street. In 1993, he used the phrase as the title of Blur’s sophomore album, which marked a dramatic transition for the band. Pre-Modern Life is Rubbish, Blur was simply a handful of guys with a handful of singles. Post-Modern Life, Blur was ready to become one of the defining acts of the Britpop genre. Taken out of context, Modern Life‘s 1991 predecessor Leisure doesn’t seem problematic in the least. The lyrics are ambiguous and largely inoffensive; the instrumentation, for the most part, is energetic and fun to nod along to. Nevertheless, the album spun Blur into a tornado of backlash from critics who considered the band a poor imitation of more established groups that were popular in the “Madchester” music scene. Blur’s situation was made even worse when the band toured the United States and found their American audiences lacking in enthusiasm. Plagued by homesickness and his intense distaste for the grunge music that had taken the States by storm, Albarn became fixated on the idea that the next Blur album would be decidedly British. The result was Modern Life is Rubbish – an 14-song masterpiece that draws from a variety of English music genres, nonchalantly name-checks London locations like Primrose Hill and even mentions tea in the first track, yet still manages to be accessible to anyone who’s ever been sickened by first world shallowness. Fortunately, Blur has always been a master at serving criticism with humor, meaning that the album’s fun factor is far from lacking. Case in point: “Advert”, a frenetic, punk-inspired attack on the advertising industry. The song begins with a sample from a commercial that declares, “Food processors are great!” Throughout the four minutes that follow, Albarn mocks the false promises of advertisements with all the gusto of Guy Montag raging against Denham’s Dentifrice ads in Fahrenheit 451. It almost sounds like something the Clash would write, yet Albarn’s passionate, distinctive vocals give it a dignified but brash character that could only belong to Blur. Truly, Modern Life covers so much ground that, chances are, you’ll be able to relate to a myriad of its lyrics, whether you’re British or American, 17 or 77. Thankfully, Blur was never the kind of band that worried about losing its “street cred” by writing songs that weren’t strictly social commentaries. Some of the tracks on Modern Life are purely fun. For example, there’s “Sunday Sunday“, a bouncy, theatrical romp through a Sunday afternoon that includes dinner with the family, a walk in the park and even bingo. The track’s repetitive melody makes it feel like a beloved Broadway standard learned in grade school music class… until the mid-song trumpet solo segues into a fast-paced, organ-driven frenzy that straps rockets to the lazy vibes of the first two verses and sends them spiraling into space. An equally delightful moment on the album is the hidden track “Intermission”, which begins as a simple piano ditty and escalates into organized chaos as the pace grows faster and more instruments are added. 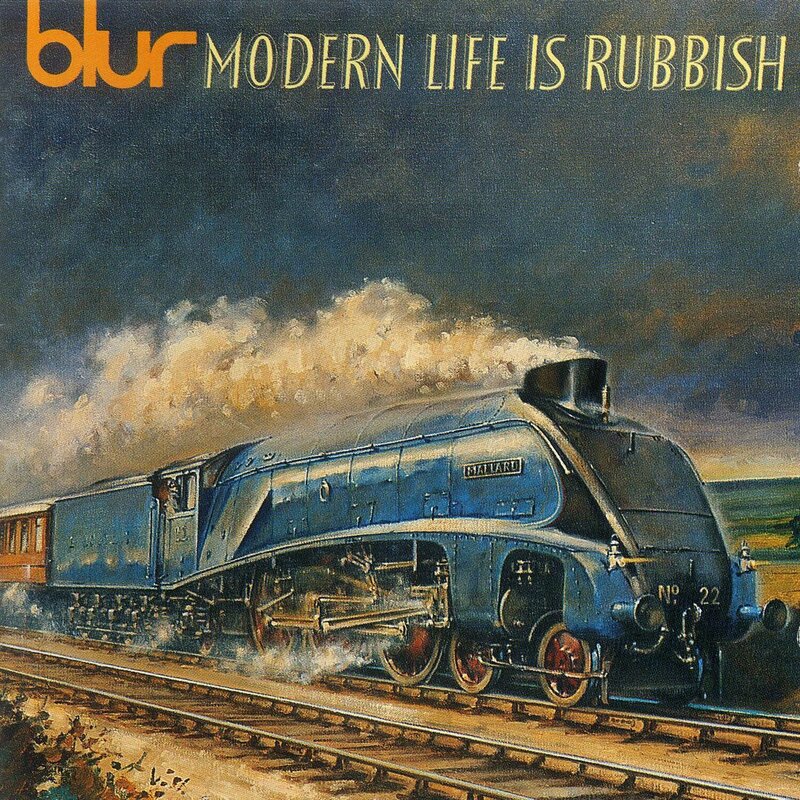 Modern Life is Rubbish was the gateway to a gleaming future for Blur. It showed hints of all the traits that the band would come to be known for in later years, from musical experimentation to spot-on satire. Without Modern Life, Blur might not be together today. Luckily, the album gave the band the push it needed to continue “holding on for tomorrow” and making music that matters.